It will never be the same, but the show must go on. 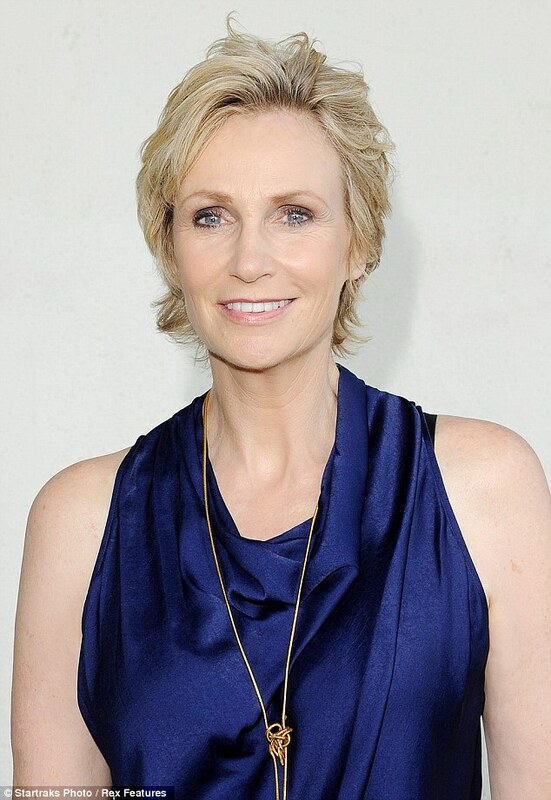 Glee star Jane Lynch explained that the cast and crew of the Fox musical series are trying stay strong and soldier on since the tragic death of co-star Cory Monteith. 'Everybody's doing differently. 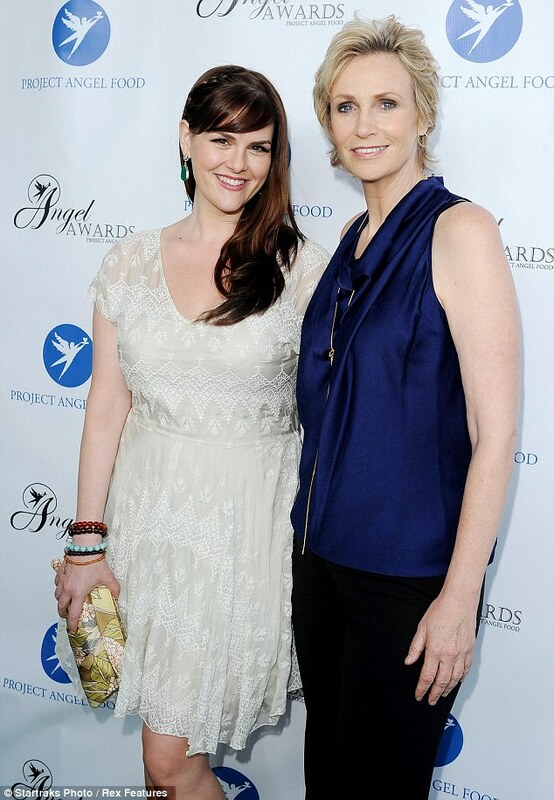 You know, it's tough,' the 53-year-old actress revealed on Saturday at the Angel Awards in Los Angeles. 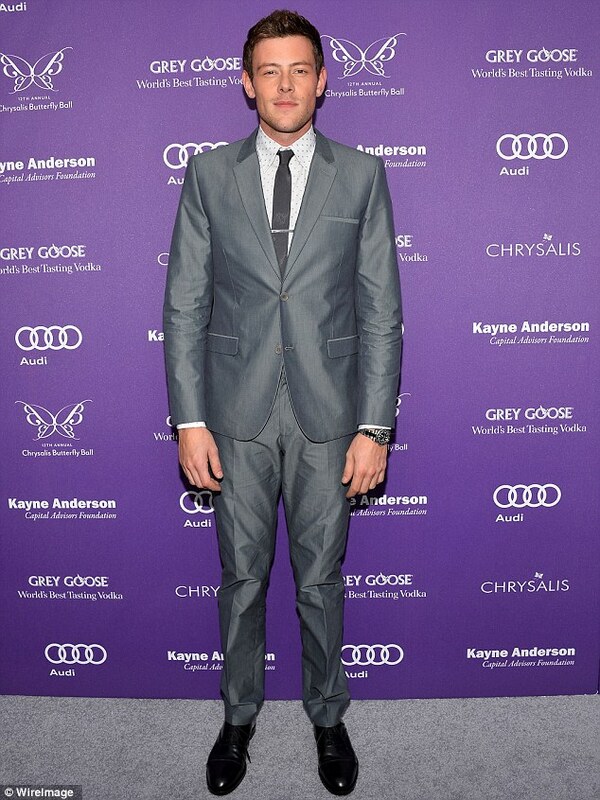 'Everybody had a relationship with him and we all express our grief in different ways so I'll only speak for myself,' Lynch, who plays Coach Sue Sylvester, told Us Weekly at the star-studded event. Cory, 31, was found dead on July 13 inside his Vancouver, Canada hotel room and authorities later determined he died of an overdose of heroin and alcohol. The Emmy Award winning actress opened up about the atmosphere on the set when she was honoured at the annual Project Angel Food gala to raise money to deliver meals to those affected by HIV/AIDS, Cancer and other life-threatening illnesses. Dressed in a midnight blue sleeveless top, black trousers and a gold chain knotted around her neck, Lynch put on a brave face as she talked about the dark topic and answered emotional questions. 'We had a nice memorial. The cast and the crew, we all got together and we remembered Cory and honoured (him),' she went on to reveal when asked about the special service held for Monteith in Los Angeles last month. Raised in Victoria, British Columbia, Monteith was privately cremated in Vancouver, Canada, on July 17, with his family and girlfriend Lea Michele in attendance. Cory's estranged father, Joe Monteith was not invited and later told People that he was 'just totally, totally devastated,' to be excluded. 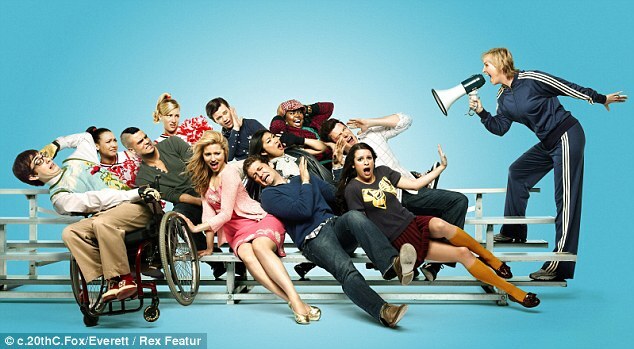 The third episode of the upcoming fifth season of the show will remember Cory's character, Finn Hudson, and Lea, 26, is helping the show's creator Ryan Murphy to write the special episode, which will deal with drug abuse. On August 6, Michele returned to the set for the first time since her devastating loss, tweeting a heartfelt message afterwards. 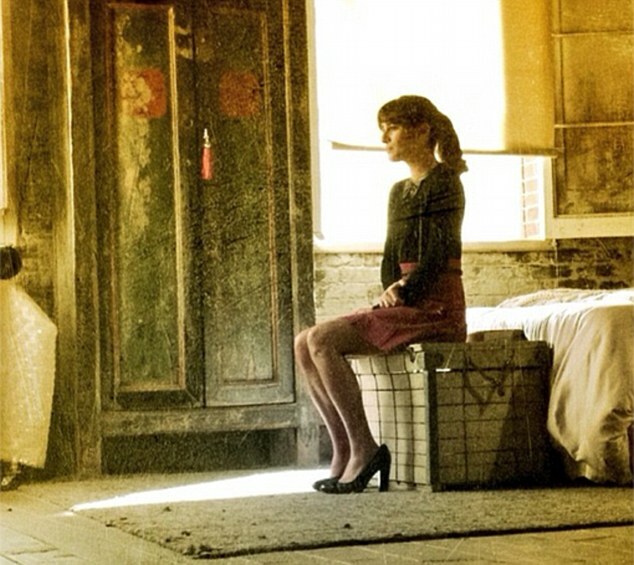 'Feels so good to be home...' said the message accompanying a hauntingly sad image showing Lea as her character Rachel Berry sitting alone on a trunk at the foot of her bed. As she continues to battle her grief, Lea is rumored to be making her first public appearance at the 2013 Teen Choice Awards on Sunday night at the Gibson Amphitheatre in Los Angeles, reported Just Jared. There is reportedly a tribute being planned to honor Cory‘s life at the awards show and the entire Glee cast is expected to attend. 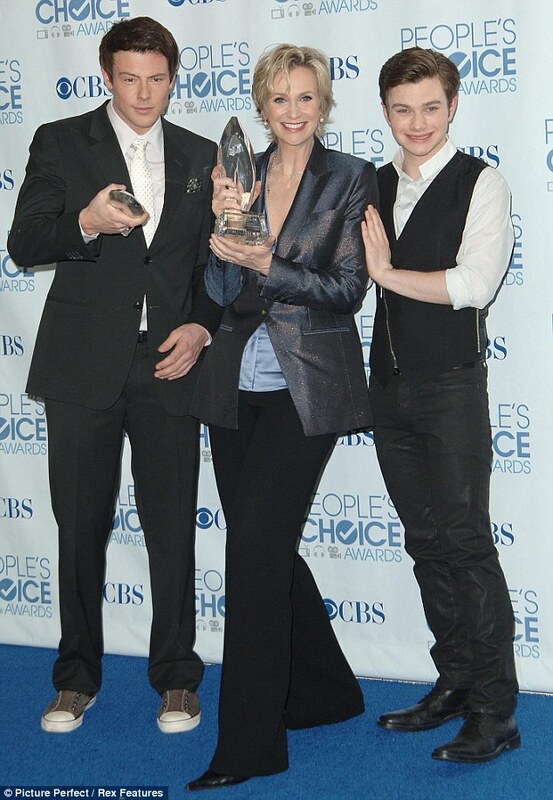 Lea is nominated for two awards at the show – Choice TV Actress: Comedy and Choice Style Icon. Meanwhile, Monteith's former acting coach Andrew McIlvoy has spoken out to reveal that he spent his final evening with three 'sober' friends. 'They weren't strangers, they weren't bad guys. They were longtime sober friends,' McIlroy told People. 'Cory knew them maybe 10 years. Essentially, he had spent time with [them] as sober people,' he added. McIlroy said the actor's three friends described his demeanour as fine when they were spending time with him the night before his tragic death.